﻿ When Can You Move Bats in the Summer? When Can You Move Bats in the Summer? We have bad news for you, folks; you CAN'T move bats in the summer. If you have bats in the attic, or anywhere else on your property, during the spring and summer, they are there to stay … Well, at least until you get to fall again. Because bat-protection laws in many states stop you from being able to move them. This is especially the case if you come up against a species of bat that is protected at a state or federal level, at which point very special care will be required to remove those bats to ensure the continuation of that species. 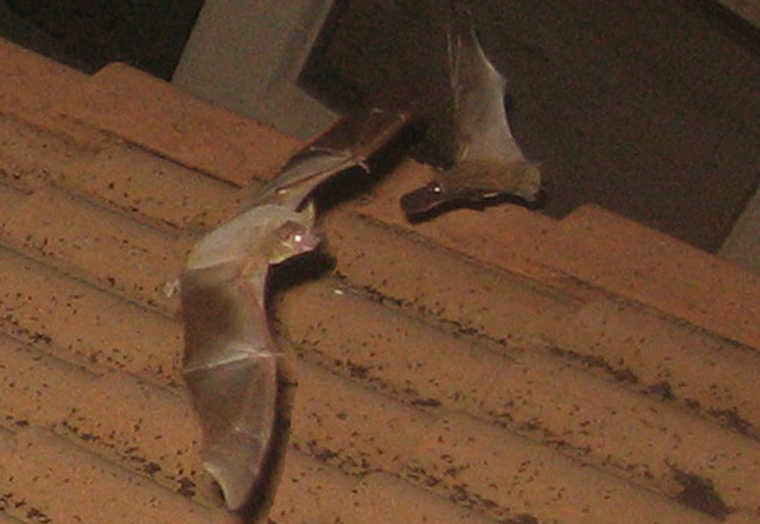 During the spring and summer, bats are in what has become known as a maternity roost. When the cold weather turns to spring, most bats will either mate or use the sperm that they have stored since mating season the fall before, becoming pregnant. Males then leave in a similar fashion to other male species at mating time, and females come together. This generally happens in the spring, but can happen a little later — around summer time. Again, depending on the species and conditions, those baby bats will need a couple of months to become big enough and strong enough to leave the roost and start a life of their own. Females will tend to stay with their mothers, males leaving the roost as soon as they can, but before they are ready to move on, you can't encourage them to move along. You would almost certainly spell the death of almost an entire generation of baby bats if you were to get it wrong. When you try to use bat removal methods before the fall, which is when the law usually says you can perform such an act again, you are running the risk of removing, trapping, or excluding a mother with a baby that is not yet old enough to be left without its mother. The mother will panic and become very distressed when forcibly parted from her pup, and there's a good chance that she will work extra hard to get back into the building that you have just removed her from. If that doesn't happen, the bat inside the building will die. Not yet old or strong enough to leave the roost and find food of its own, it no longer has its mother to bring food back to it. She has been locked or released outside, the hole sealed to prevent her reentry. Without food, water, and its mother, the bat pup would die. Towards the fall — end of August and beginning of September — those bat pups are starting to get brave enough to leave the roost. If a mother were to be locked out without her pup, the pup probably wouldn't die because it would just leave the roost too, becoming excluded in the same way. By waiting until the very end of summer, you have a greater chance of a successful bat removal project, and by successful, we mean without harming or killing any of the bats within the colony. If you can't be sure that the summer maternity season is over, you should not try to move, remove, or exclude a colony of bats. Go back to the Bat Removal page, or learn about bats in the attic with my Bats in the Attic guide.